"Just wanted to thank everyone for their lovely words over the past couple of weeks," Louis tweeted on Wednesday. "Back in the studio today to vocal something I wrote a few months ago. Sending you all loads of love x." "Police are in the process of informing her next of kin," the statement from police read. "At this stage the death is being treated as unexplained. A post-mortem examination will take place in due course." Félicité's death comes just over two years after her and Louis' mom, Johannah Deakin, passed away after a long battle with leukemia. In early March, the 27-year-old One Direction star released an emotional new song about his mother's death called "Two of Us." "You'll never know how much I miss you/The day that they took you, I wish it was me instead," Louis sings on the track. "But you once told me don't give up/You can do it day by day/And diamonds they don't turn to dust or fade away." Since news of Félicité's death broke, there's been an outpouring of love and support for the Tomlinson family from around the world. "Such incredibly sad news today," James Corden tweeted. "You're not on your own in this @Louis_Tomlinson So many people are pulling for you and your family right now x." 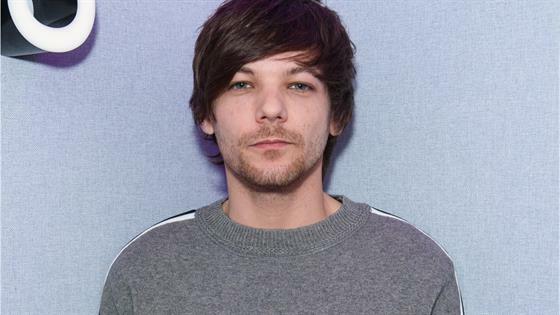 "Prayers to Louis Tomlinson," Charlie Puth wrote on social media. "I can't imagine how hard it is right now. Love to you brother I'm so sorry and my prayers are with you."